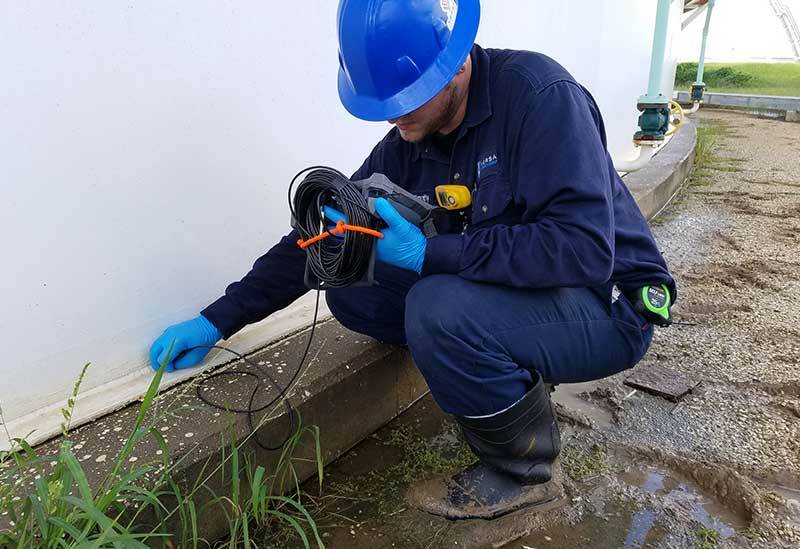 Versa Integrity Group offers a full complement of inspection services to facilitate out-of-service (API 653) above ground storage tank inspections. Above ground storage tank (AST) inspections are processes that adhere to standards developed by the American Petroleum Institute (API), which set guidelines to inspect and repair above ground storage tanks used in the chemical and petroleum industry. API 653 covers in-service and out-of-service storage tank inspection for these industries. This standard is critical to the safe operation of above ground storage tanks around the world. Additionally, though, other standards exist like STI-SP-001, to meet current EPA requirements for small tanks that fall into the agency’s rule for Spill Prevention Control and Countermeasure (SPCC). The AST inspection market is characterized by an increasing need for more cost-effective measures to meet API 653 requirements. Taking above ground storage tanks completely out-of-service is oftentimes not an option from a budgetary standpoint. This is where services like robotic tank inspections and 3-D tank modeling with Technosoft come into play. Each of these separate services provide an opportunity to properly inspect and scan ASTs that are in-service, rather than requiring a shutdown of the tank itself. Versa Integrity Group has engaged in API 653 inspection from the inception of the standard. Hence, our tank inspectors have performed thousands of these types of above ground storage tank inspections. Our tank department, led by tank inspectors that have focused their entire careers on handling API 653 inspections, are among the most dedicated and experienced in the field. With their expertise, we maintain due date records for our clients per API 653, and manage any upcoming inspections as they come due. The tank department also has the capability to handle all aspects of out-of-service inspections from tank strapping to laser inspection of tank internal floor level deviations. Furthermore, we follow a reporting procedure that provides our clients with a full evaluation of all floor, shell, roof, and appurtenance calculations.